What a MAGIC two days! Well the second annual unconference for excellence in education took place at Albany Senior High School during April. Thanks to all of the people who attended and contributed. We had 110 inspiring educators from all around the country attend and share what’s working for them in their schools. Welcome to Ignition 2012, the education unconference. We need more innovation and cutting edge practice in our schools, and we need to be supporting and sharing excellence wherever we find it. The Ignition Unconference aims to find pockets of excellence in schools (sometimes it’s the lone ranger, sometimes it’s a posse of teachers riding in the right direction), give them confidence that they have what it takes, build a team around them and give them the skills they need to take up leadership positions in schools, thereby spreading innovation in schools. What Ignition aims to do is to turn all schools into awesomeness incubators: high-tech, exciting, dynamic places that pump out the kind of entrepreneurs we need in New Zealand. 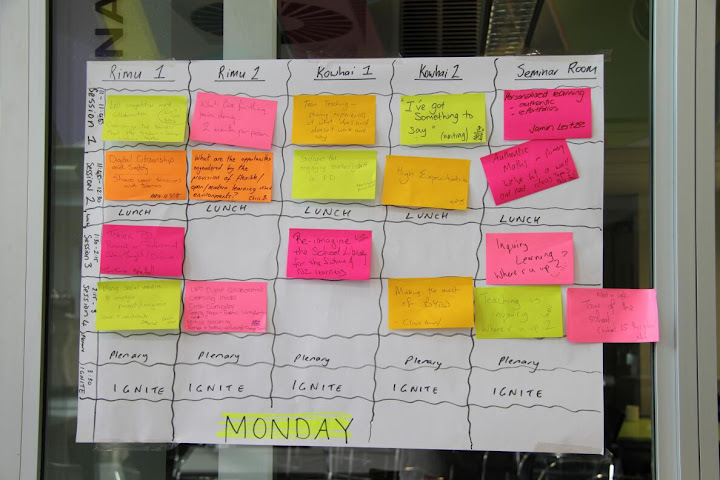 We do this in a range of ways but our two flagship events are a series of evening ‘ignite talks’ over the course of the year and an annual two-day unconference called Ignition. Ignition is an event run by teacher for teachers. We bring great educators together, host them at Albany Senior High School and have them share ideas on how to transform schools into the kind of 21st century innovation engines we need them to be. The difference between Ignition and other professional development that takes place in schools is that instead of helicoptering in external visionaries, we use the unconference format to give teachers the chance to lead, persuade, inspire, challenge, provoke and convince the other educators in the room. It’s a conversation and dialogue-based approach, and it’s strengths-based.